Last week we saw how we should learn to “cooperate with Jesus” just as the first disciples did on the Sea of Galilee. By working with Jesus these men succeed in what they previously failed to do, when they worked without the Lord to direct them. Cooperating with Jesus is the vocation common to every Christian, regardless of personal circumstances. Today we celebrate Vocations Sunday and we turn our attention to the sacred priesthood, as a particular way, but by no means the only one, of cooperating with the Lord. Today we are asked to pray for vocations to the priesthood and for generosity in responding to this call. Priests do not exist in a vacuum; priestly ministry is inseparably linked to caring for the people of God, by feeding the faithful with his Word and the Eucharist, by administering forgiveness, by providing leadership and focus for mission. 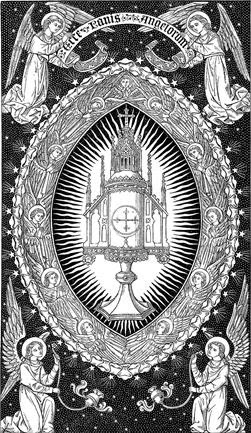 Likewise, the people of God work with their priests to share his redeeming love with everyone; their individual ministries in the world are many but they find unity in the celebration of the Eucharist people offer with their priests. But there is more. Congregations play a crucial role in fostering vocations to the priesthood because whatever type of vocation is needed within the Church it necessarily arises from among the people of God – that is to say, priests do not grow on trees. Vocations arise from faithful people praying for them; they are fostered within the parish context, they come to flourish through the loving support of local congregations. An example of this close relation between priests and their congregations can be found in the title of “Pastor” which is sometimes given to priests who hold responsibilities for a local church community. The word “pastor” comes from the Latin for “shepherd” or “feeder of the flock”: the one who leads the sheep to pasture. As we see in today’s gospel reading, the chief pastor is Jesus himself who shares this ministry with those whom he calls to be priests among his people. As the prophet Jeremiah affirms, ‘I will give you shepherds after my own heart, who will feed you with knowledge and understanding’ (Jeremiah 3:15); or as the KJV Bible says, ‘I will give you pastors according to mine heart’. 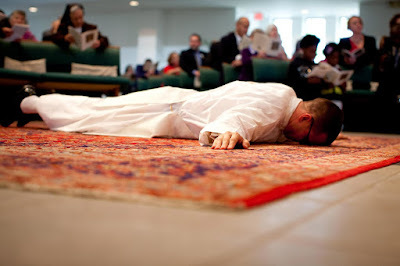 At the moment of ordination, priests are conformed to the pastoral heart of Jesus, and the shepherd-like character of the Lord is branded indelibly on their souls. Then, they are sent into specific congregations or flocks to care for them on his behalf. So without flock the priests’ ministry as a servant and shepherd of God's people could not be entirely fulfilled – they would be wandering shepherds without a flock – and without priests the people of God would be deprived of food and leadership. On this Vocation Sunday let us pray that the Lord may raise from among us, more and more shepherds to feed and to guide his people so that each of us, through our own individual ministries, may be enabled to share God’s redeeming love with everyone. 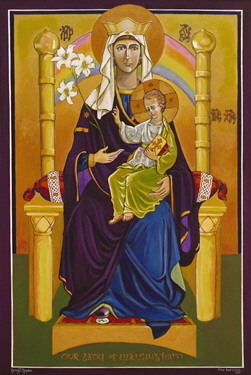 May Our Lady Mary, Mother of Priests, pray for every priest that they may always be shepherds after the heart of her Son, and may she gain an increase of priestly vocations for all the Church. Amen.